Burglars abseiled into a building in Dunedin, New Zealand, at the weekend, before stealing art supplies. Police are investigating the break-in on Hanover St on Saturday night. 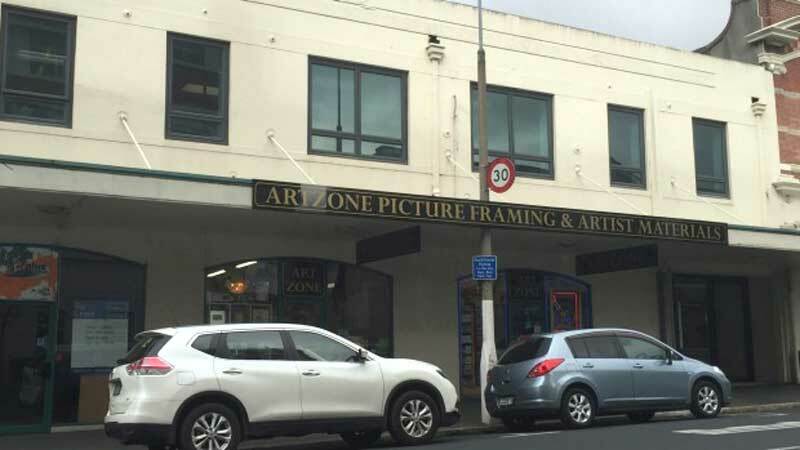 Andrew Cook, of Artzone, said the thieves "abseiled through a skylight" to gain access to an upstairs office. "They tied a strap around a chimney vent, and abseiled into the building. It was very dramatic." They then stacked furniture to climb out. The thieves stole 68 cans of Montana Gold spray paint, mostly shades of blue and some black and white. Also taken were about 40 "big fat" water-based marker pens. In the upstairs office not connected to the art shop, black toner was taken out of the photocopiers and "chucked about the place". "So not terribly sophisticated," Mr Cook added. Senior Sergeant Ben Butterfield said anyone with information was urged to contact Dunedin Police.